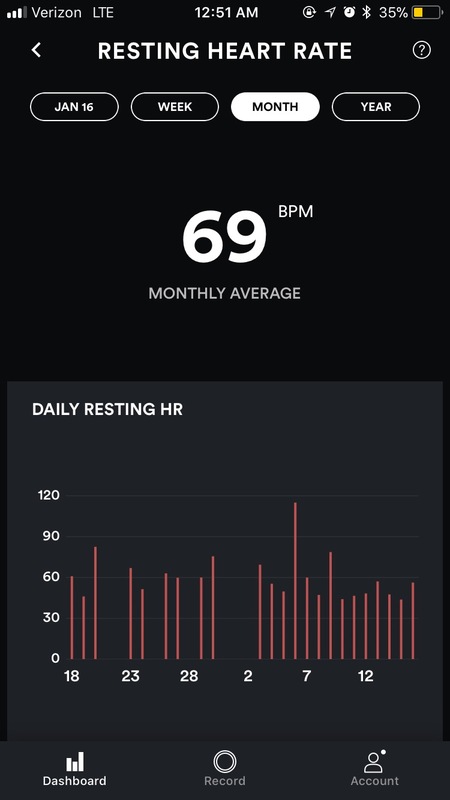 Your Biostrap Dashboard shows a summary of your Heart Rate (HR) for any given day you wear your Wristband! On the screenshot above, the data remark is shown as Low. This remark is as compared with your own past data. Following is a definition of Normal, High, and Low remarks. Normal - When the current average is within 10 to 90 Percentile of your own past data. Low – When the current average is below 10 Percentile of your own past data. High - When the current average is above 90 Percentile of your own past data. 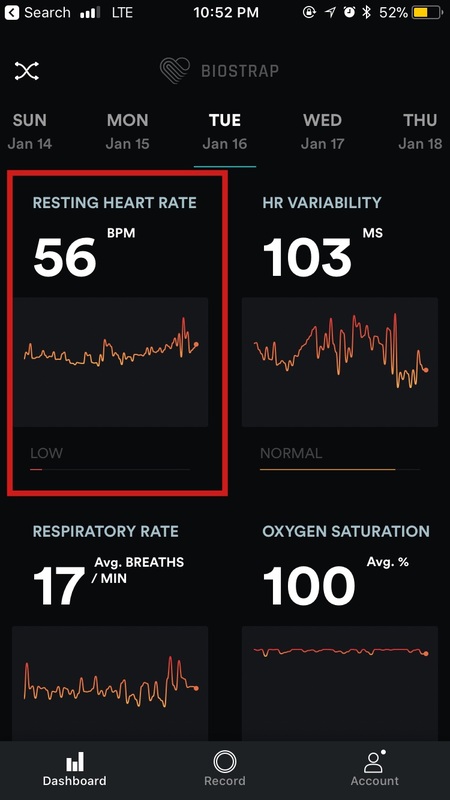 Click anywhere on the “Resting Heart Rate” tile on the dashboard to view “Heart Rate Detail Page”, for that specific day, as shown below. 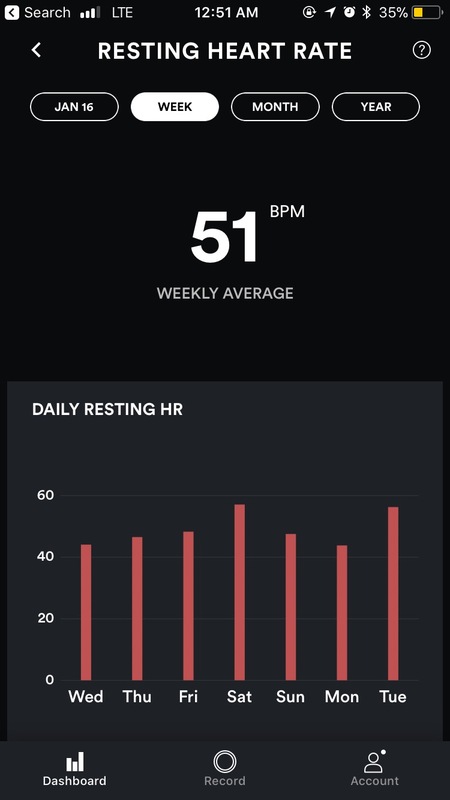 You can click on Week to view a “Heart Rate Summary” for previous 7 days, as shown below. The height of each bar in the above bar graph shows the median Heart Rate Value for the corresponding day. If you scroll down on the week view, you will see the summary of various matrixes for the current week. In the screenshot shown above, it shows the summary of following matrixes for current week. 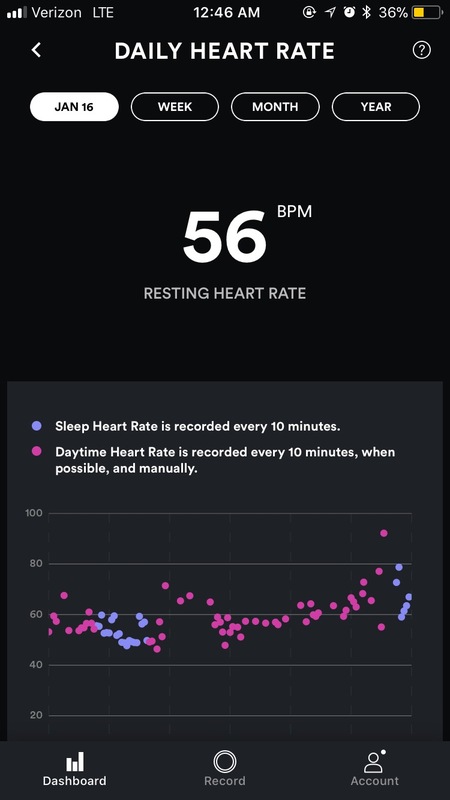 Median Heart Rate while Sleeping for the current week. 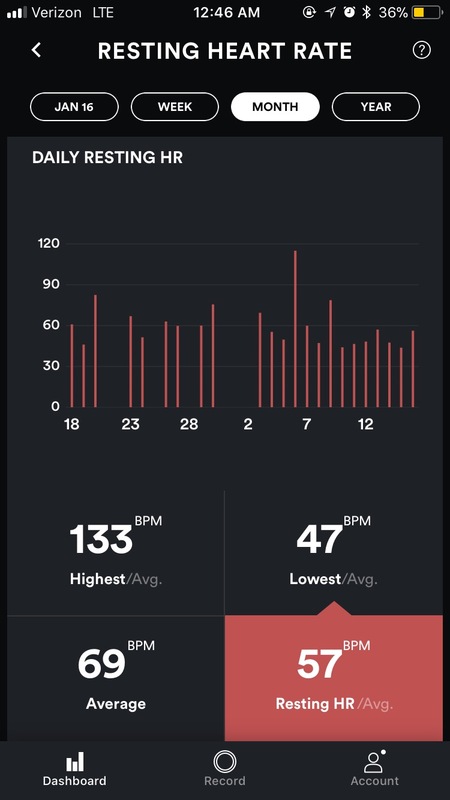 You can click on Month to view summary of “Heart Rate” for previous 30 days, as shown below.